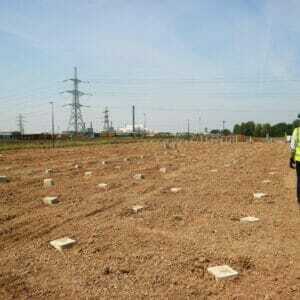 Aarsleff Ground Engineering has completed the piling works for Lidl’s new distribution centre in Avonmouth, Bristol. The Avonmouth Severnside Enterprise Area, which is sandwiched between the north bank of the mouth of the river Avon within the Severn Estuary and the M49, is expected to attract new economic activity in diverse sectors, including energy generation, waste management, manufacturing and warehousing and distribution, the latter of which is evident with supermarket giant Lidl UK. Lidl UK purchased 13.36ha of land at the Central Park site on the Enterprise zone (which is owned by Delta Properties) for the construction of its new 180,000m2 regional distribution centre in its bid to service the supermarket’s expanding operations in the South West. 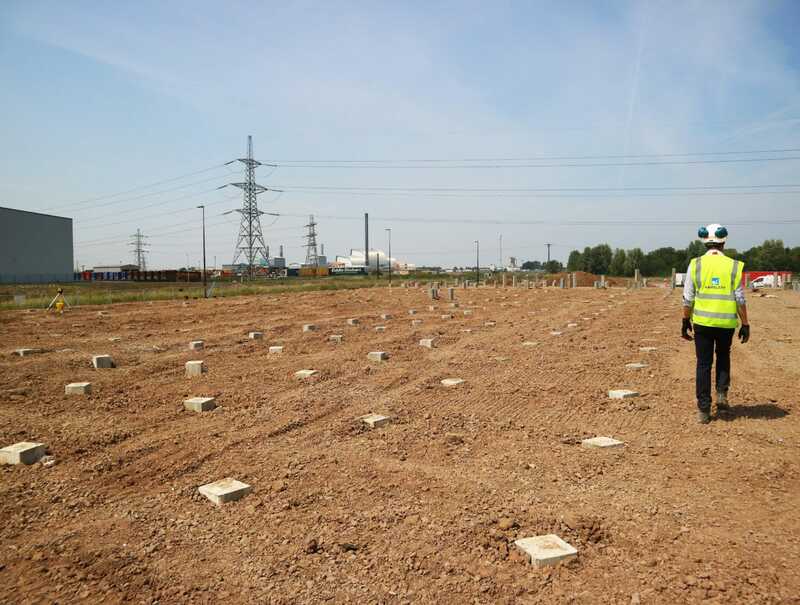 Aarsleff installed a total of approximately 9,500no 250mm2 pre-cast piles driven between 14 and 20m-deep across the site over a 12 week period – the piles, the majority of which have been supplied by Centrum Pile – Aarsleff’s in-house manufacturer of continuously reinforced, precast concrete piles, which are cast in standard square sections from 200mm to 400mm and from 4m in length, increasing in 1m increments to standard lengths of up to 14m. Approximately 300no 273mm diameter by 18-23m deep tubular steel piles were also driven, to complement the overall foundation works, including the test piles. Aarsleff ran with two Junttan PMx22 rigs, a Junttan PM20 HLC, two Junttan PM20’s and a Banut 800.